On September 20, European aircraft manufacturer Airbus opened a completion plant in China, with the aim of meeting surging demand in the world’s fastest-growing aviation market. The opening comes at a time when increasing passenger numbers are boosting business. Looking ahead, China is expected to spend over $1trn on aeroplanes over the next two decades, Reuters reported. With this projected growth in mind, Airbus is increasing its footprint in the country with hopes to turn favourable forecasts into profitable orders. Until now, Airbus’ presence in China has been limited to a final assembly line for A320 jets, operating since 2008 in Tianjin, in the north of the country. 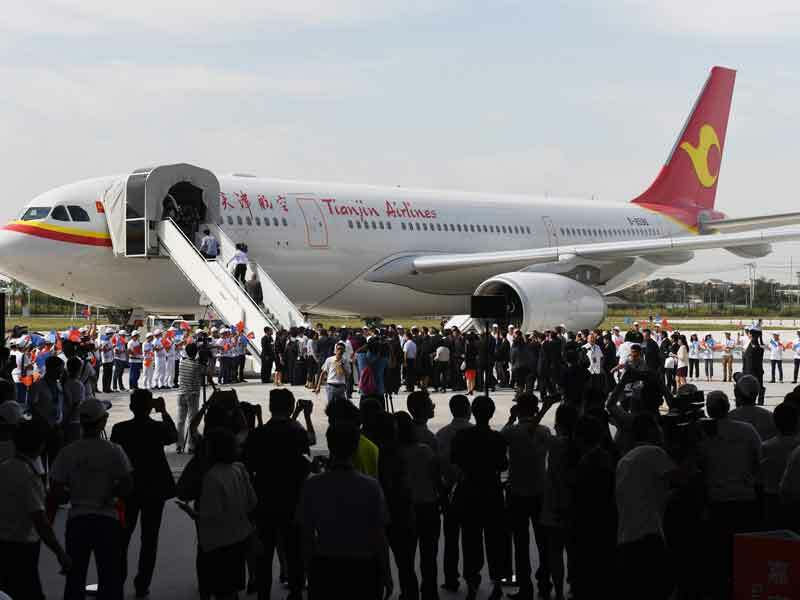 The new plant, also located in Tianjin, will focus on the company’s A330, a profitable wide-body jet, the demand for which has slowed in recent years amid an upward trend for more agile planes. Now, Airbus estimates that airlines’ demand for large planes could reach 60 to 100 over the next five years. The strategic move is a joint venture with two Chinese companies – the Aviation Industry Corporation of China and Tianjin Free Trade Zone Investment Company – and is the materialisation of an agreement first made in 2014, when President Xi Jinping visited France, home to Airbus’ headquarters. As with operations worldwide, the European aerospace firm will also face competition from Boeing in China. The US rival plans to build a 737 completion plant to increase its presence in the China, in partnership with Commercial Aircraft Corp of China. The market seems to have room for both. According to the International Air Transport Association, there will be a sharp growth in Chinese air travel in the next 20 years, with passenger numbers reaching a record 1.3 billion, from 817 million in 2016.